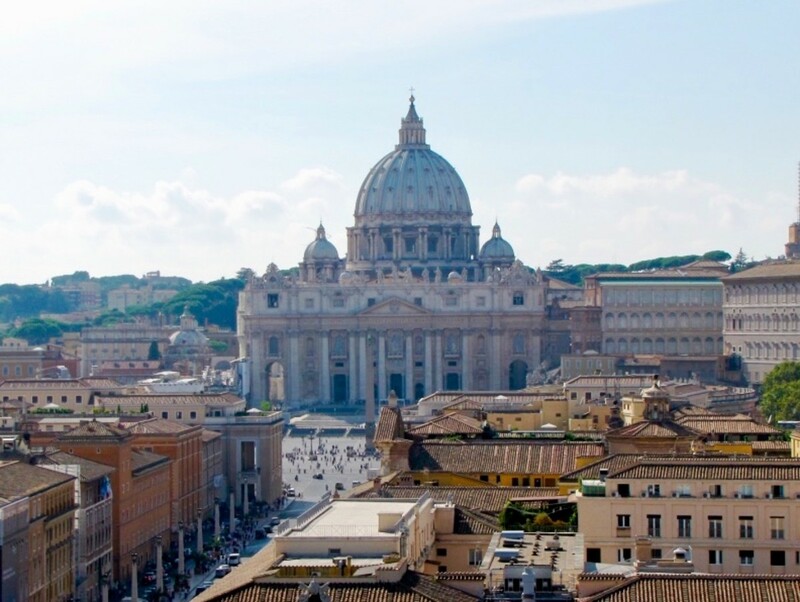 Much more than just a cathedral, this iconic symbol of Christianity will never be quite the same. Watching the spire collapse along with much of the roof as the Cathedral of Notre Dame continued to burn into the night has me heartbroken. Of all the beautiful churches, amazing monuments, and vast number of museums spread out across Paris, there is but one site that is truly the heart and soul of this city. It is of course the Notre Dame Cathedral. 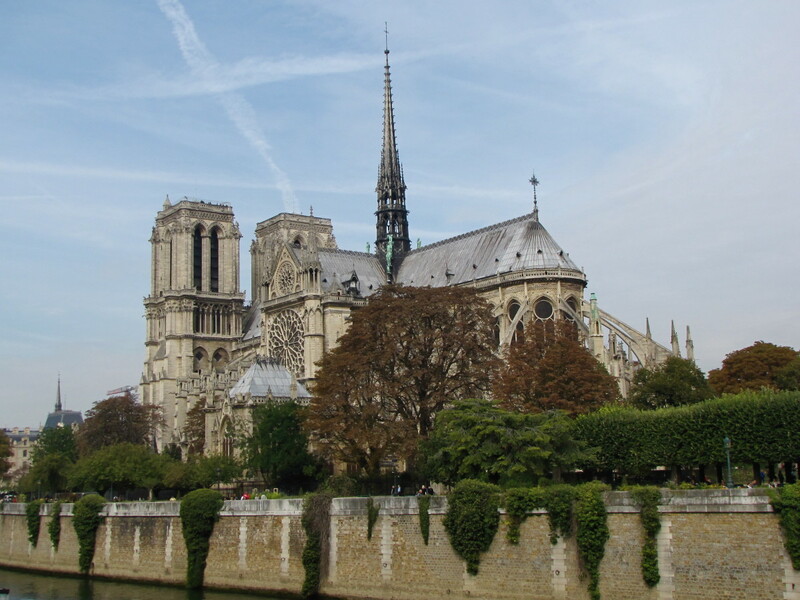 Visited by over thirteen million people annually this Gothic masterpiece of French architecture has stood on the Île de la Cité along the banks of the River Seine since its cornerstone was laid in 1163. If you are coming to Paris you simply cannot leave until you have stood in the shadow of Notre Dame. When visiting the Cathedral of Notre Dame you will be faced with a number of options. You can simply explore the interior of the Church, which is exquisite and easily one of the largest and most beautiful churches in all of France. If you are so inclined you can also climb to the top of the cathedrals infamous towers, which will involve a pretty good physical effort to climb the 387 steps. If you’re a sucker for great views like me then it’s certainly worth the effort. Out in front of the cathedral is the entrance to the crypt, which allows visitors to explore the historical ruins underneath the church from the earliest settlements in Paris. 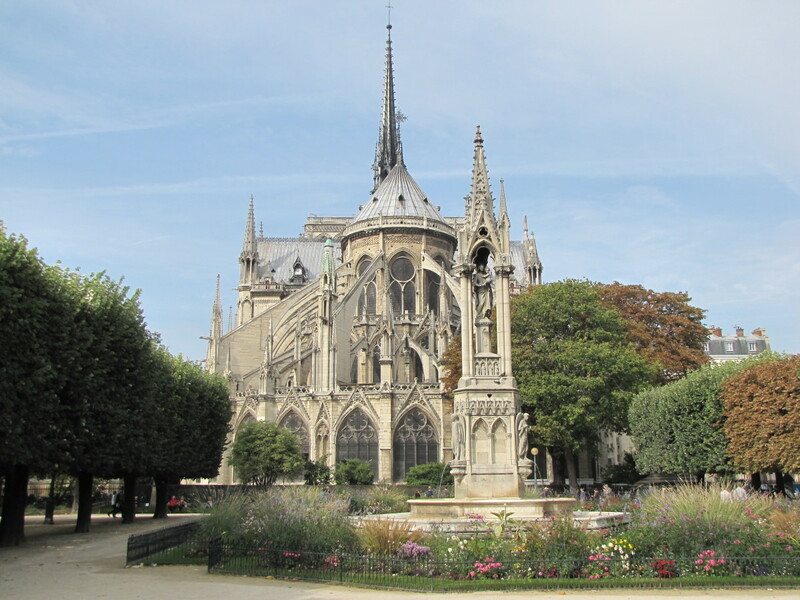 And located behind the Cathedral on its east and south side are the gardens of Square Jean XXIII and a very picturesque view of the Cathedral from a different perspective. No matter how much time you choose to spend here and what you decide to see I think you will be utterly impressed with Notre Dame. 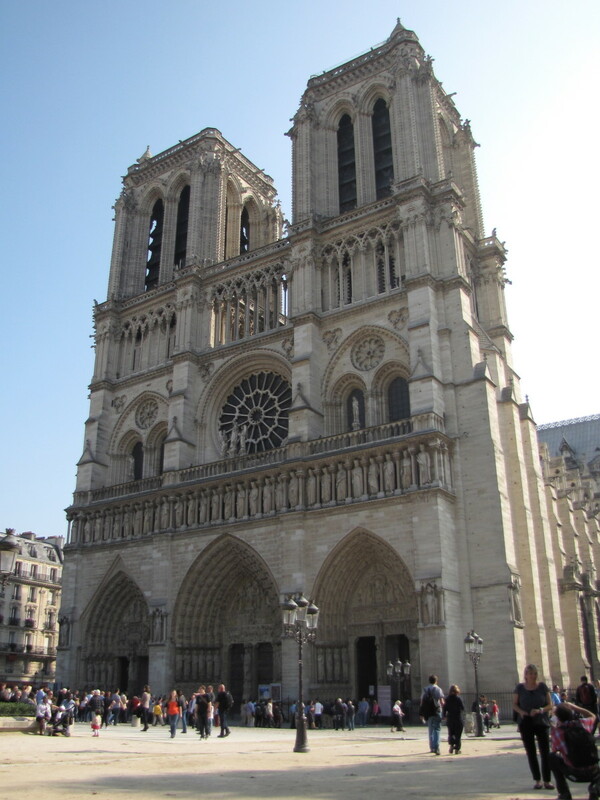 While construction of Notre Dame was started in 1163, it was not completed until 1345. 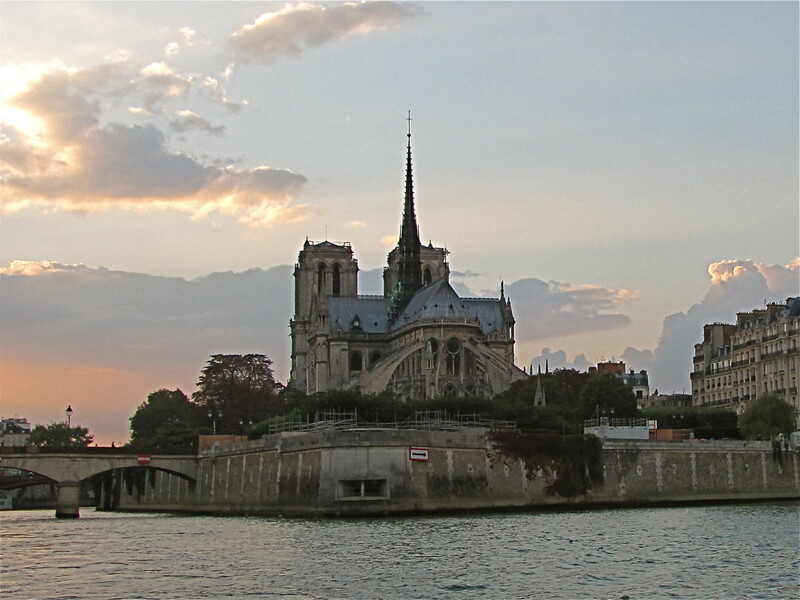 Notre Dame is the cathedral of the Archdiocese of Paris. The three portals are from left to right; Portal of the Virgin, Portal of the Last Judgement, Portal of Saint Anne. The exterior of Notre Dame is a contrast in views. From the front or west side you see the three large arched portals and the two bell towers that rise some 226 feet above the ground. Just above the portals you will see the Kings Gallery, which is a series of 28 statues of Israeli kings. Above the gallery in the center is the exterior of the west rose window, more on this later. The view from the front masks the true size and ornate detail of Notre Dame, which stretches 420 feet long. 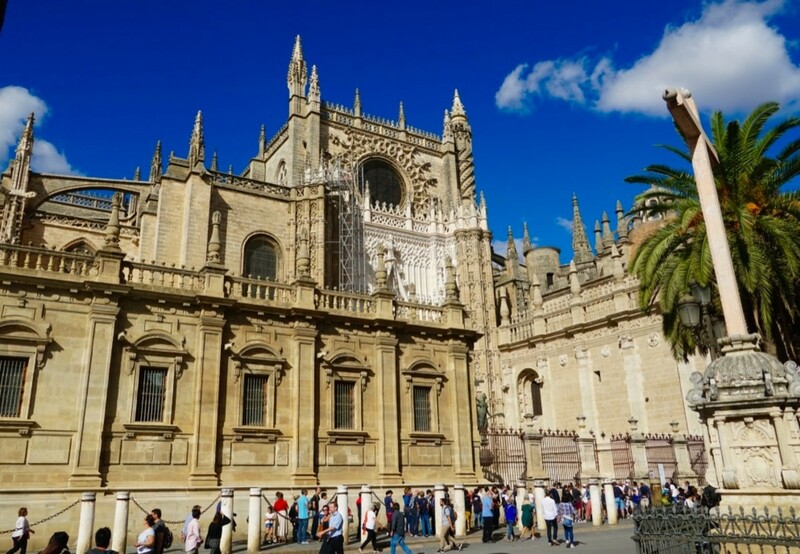 Take a walk along either side of the cathedral to the rear or east side and the view is dramatically different. 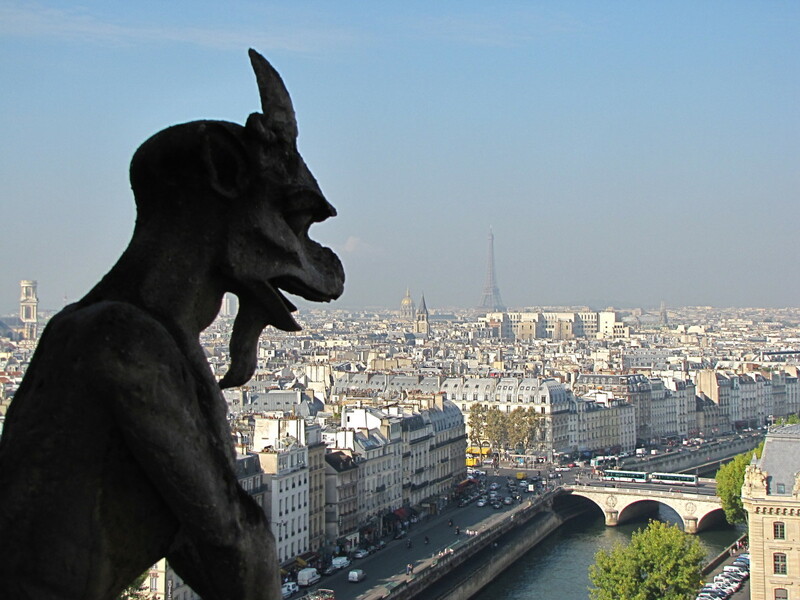 As you walk around Notre Dame you get the sense that you are being watched from above by the menacing gargoyles. These gothic creatures actually had a function other than to scare away evil spirits. They were and still are used as spouts to drain water from the roofs gutters. The reason they extend out from the building as they do is to help prevent damage from water running down the side of the building and damaging the mortar between the stones. As you come to the back of the Cathedral and Square Jean XXII you will notice the dramatically different view. From this vantage point you get a great look at the spire that rises to 300 feet and the flying buttresses that help to support the roof and walls of the cathedral. 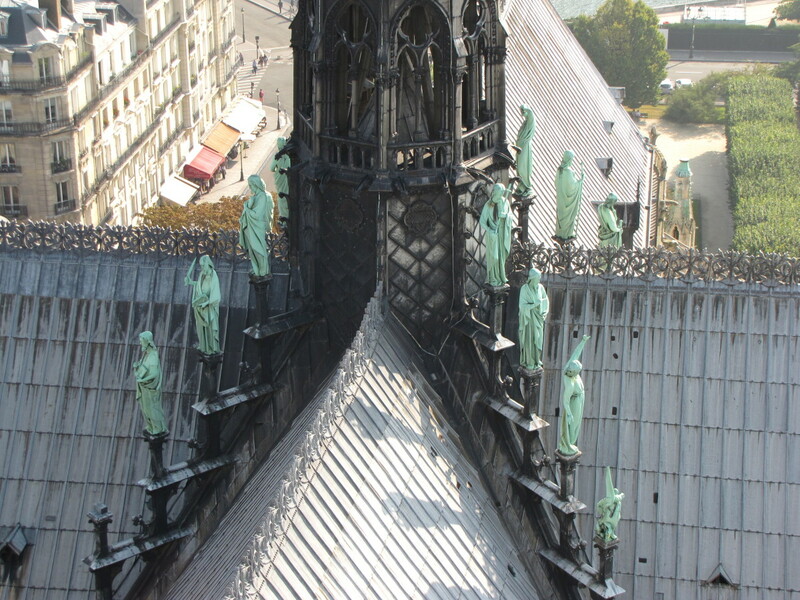 Take a close look at the spire to see the copper statues of the twelve apostles. From here you really get a sense of how grand Notre Dame is. The gardens of Square Jean XXII are a great place to sit and enjoy the view or have a quick picnic under the many lime and cherry trees. There is also the Fountain of the Virgin, which was sculpted in 1845 in addition to the beautiful flowers and vistas of both the cathedral and the River Seine. Enjoy the view. For an even more impressive view we are next going up into the Towers of Notre Dame. While entry into the cathedral is free there is a fee to climb the towers (8.50 euro). The Paris Museum Pass does include the entry to the towers but be advised that it does not include the skip the line feature. So pass or no pass you will have to wait along with everyone else. We arrived early before the towers opened and still had a short wait. The climb to the top of Notre Dame is advertised as 387 steps. I like to count things and I counted 385 steps, perhaps I missed the first two down at the street level? However many it is be prepared for a lengthy climb up the narrow spiral staircase. The Paris Museum Pass is available for 2, 4, or 6 consecutive days and includes 60 museums and monuments located in Paris. 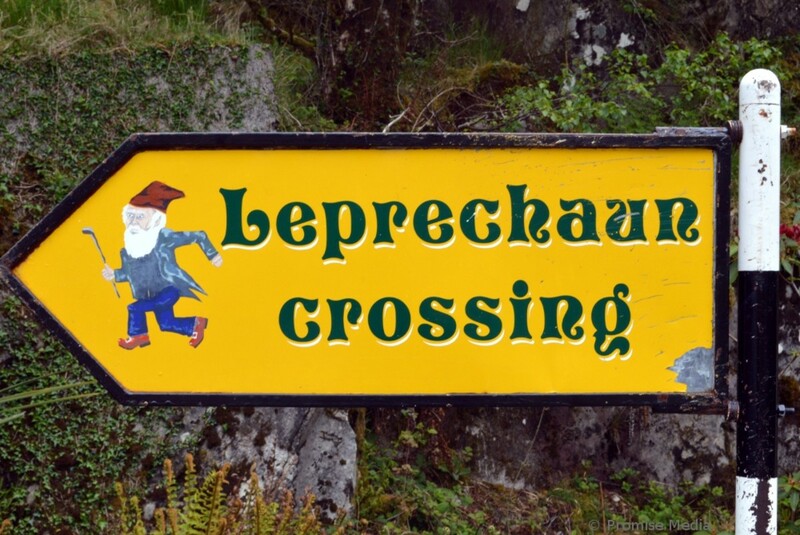 Depending on the length of your stay and your interests it may be worthwhile. I was expecting a grand view of Paris from the top of the towers and I was not disappointed. 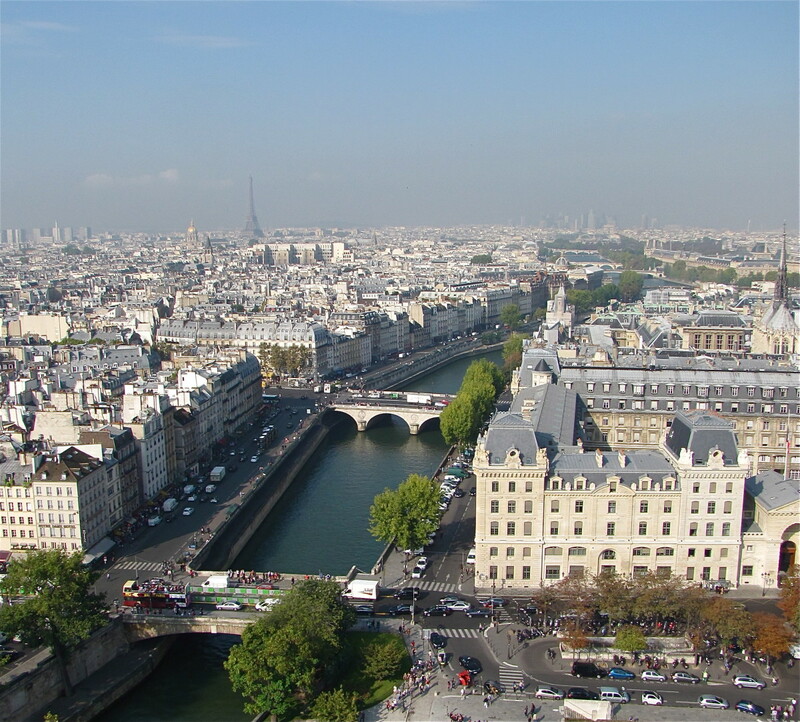 This is perhaps the best view in all of Paris and one can clearly see the Pantheon, the towers of Saint-Sulpice, the Eiffel Tower, the Arc de Triomphe, the Louvre, and of course Sacre-Coeur to the north. 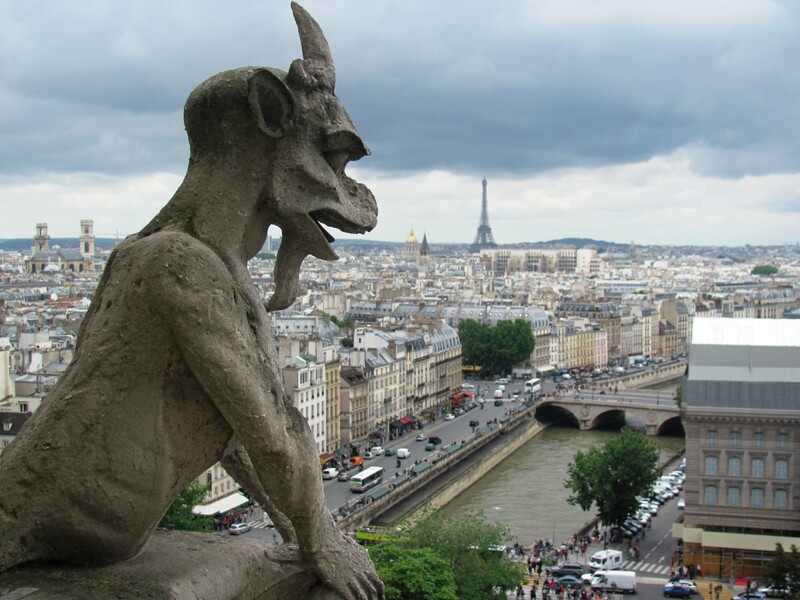 You also get a wonderful view of the Cathedrals Spire, the twelve Apostles, and an up close look at many of the gargoyles and chimera statues. 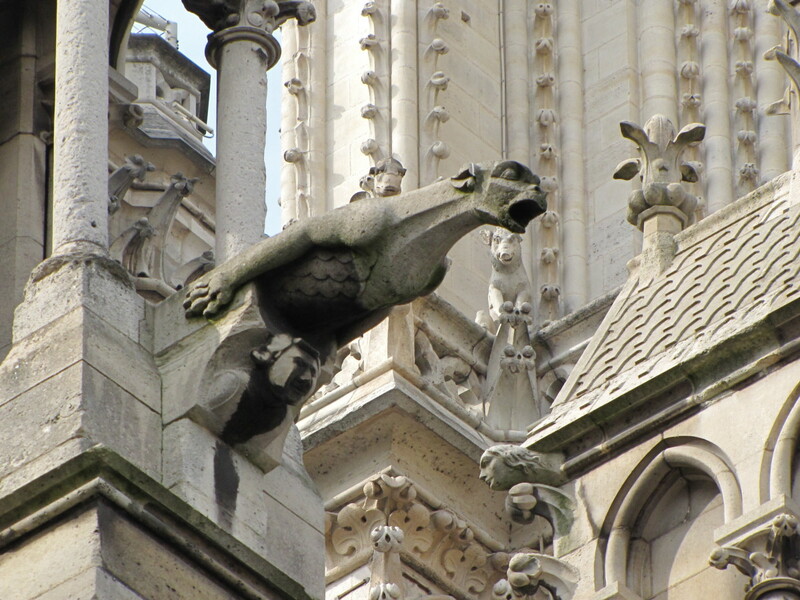 While the gargoyles are designed to funnel water away from the building the chimera are the gothic statues whose purpose is to protect the church from evil spirits. There are some interesting chimera creatures up here and you get close enough to reach out and touch a few of them. Be wary of pickpockets. Any place that draws large crowds of tourists such as Notre Dame is pickpocket territory. If you plan on climbing the towers my advice would be to get there early as the line forms well before they open. The entrance to the towers is to the left of the cathedral as you are facing it from the front. You actually climb the north tower until you reach the open gallery where you then cross over to the south tower via a narrow walkway. From here you can visit the belfry, which contains “Emmanuel”, the largest of Notre Dame’s ten bells, before yet another staircase takes you to the viewing platform atop the south tower. While some visitors may not fully appreciate the wonderful view from up here I think it’s very much worth the effort and is easily the best view of Paris. Emmanuel weighs 13 tons and is rung on major holidays and important events. The four bells in the north tower are rung daily to announce church services and the time. Upon entering Notre Dame you immediately feel the sense that you have entered one of the world’s great cathedrals. Notre Dame is as grandiose and breathtaking as any other cathedral that I have entered. The huge vaulted ceiling keeps visitors eyes gazing upward and the three stained-glass rose windows (north, south and west sides) are clearly the most stunning interior feature. 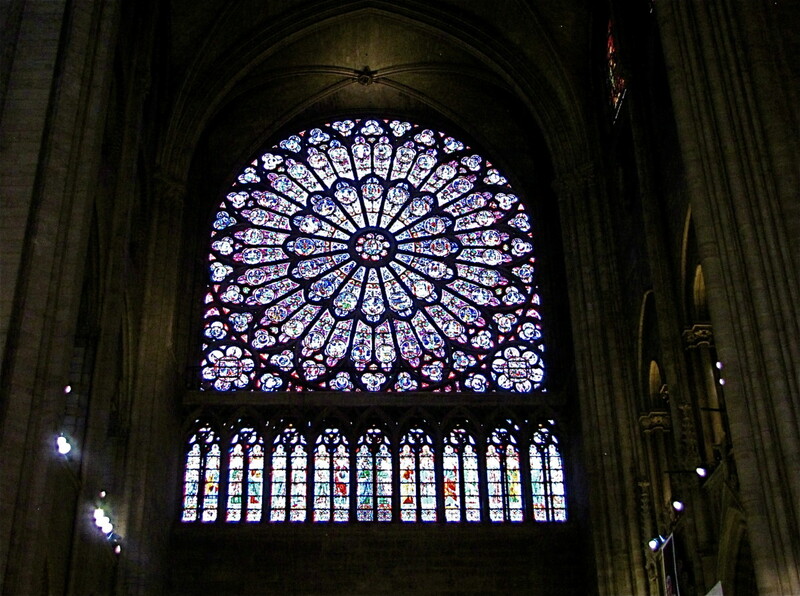 The three rose windows each date back to the 13th century and have survived centuries of revolution and war. 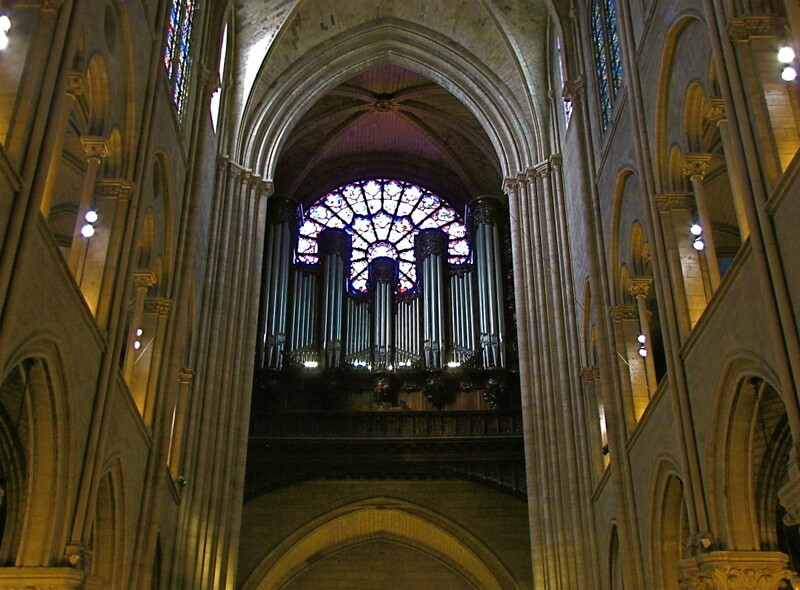 Also of particular note are the organs of Notre Dame of which there are three. The largest is the Great Organ, which is the largest in all of France and undoubtedly one of the most famous organs in the world. Also of interest in the interior is the Treasury of Notre Dame. The purpose of the Treasury is to protect and conserve religious objects that are considered sacred. This includes a number of priceless items including manuscripts, crowns, chalices and crosses, many made of gold and other precious metals. Of particular note here is the coronation robe worn by Napoleon. The Great Organ has 8,000 pipes and is still played during Sunday services. Although we fell short of time and did not get a chance to visit the crypt it will be high on our list for our next visit to Paris. The crypt is located under the square directly in front of Notre Dame and also has a fee of 7 euro. The crypt offers visitors a rare glimpse into the history of Paris and features structures that date from antiquity right up to the 20th century. This is a rather large area and goes down through successive layers all the way back to the first Gallo-Roman settlements on the banks of the River Seine. This area dates back to between 27 BC and 14 AD. Free. Audio guides available for 5 euro. I hope you enjoyed this brief tour of Notre Dame. As you may have surmised by now you can spend a lot of time just at this one site. 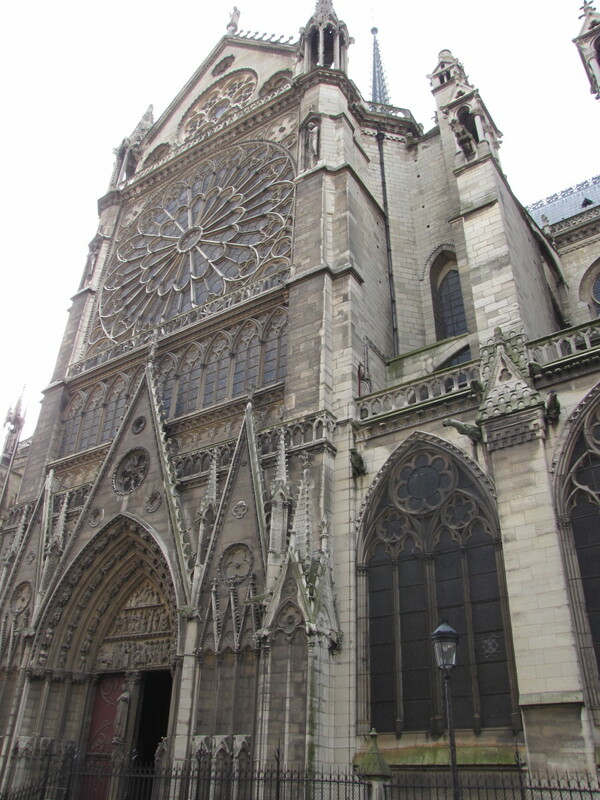 We made two visits to Notre Dame and although we saw a lot we did not get to everything. The lesson learned here is to plan your time and try to avoid time waiting in lines. The line to enter Notre Dame does move quickly and with no entry fee there’s not much you can do here but to arrive early. For the Towers it’s the same story, get there early. No matter what you choose to see take your time and don’t rush as this is certainly one of the highlights of any visit to Paris. Is there a dress code to abide by while visiting the Notre Dame? For example: no shorts, must cover shoulders, etc? There is no dress code that I am aware of. However, you certainly want to be respectful whenever visiting a church. Generally speaking, yes shoulders should be covered, and shorts are frowned upon, but France is much different than Italy when it comes to these things. We visited a number of churches in France in addition to Notre Dame, and I did not have a problem wearing shorts. What religious order are the priests at Notre Dame? Notre Dame is a Roman Catholic Cathedral located in the heart of Paris. It is the seat of the Archbishop of Paris. Can I buy the ticket to get to the Notre Dame tower and crypt online? I do not believe you can buy tickets online ahead of time for either the towers or the crypt. You can purchase a Paris Museum Pass that is accepted at both of these sites. This would give you skip the line privileges at the crypt, not sure about the towers. We'd like to visit the Treasury in Paris on a first Friday when the relics are exposed for an hour. Is this a special ticket? How early should we get in line? I believe there is a 5 euro fee to visit the Treasury so there is a special ticket to get access. Lines will vary depending the time of year but it seems like there is always a line waiting to access the cathedral. For the Treasury I am not sure but I would go expecting a line. 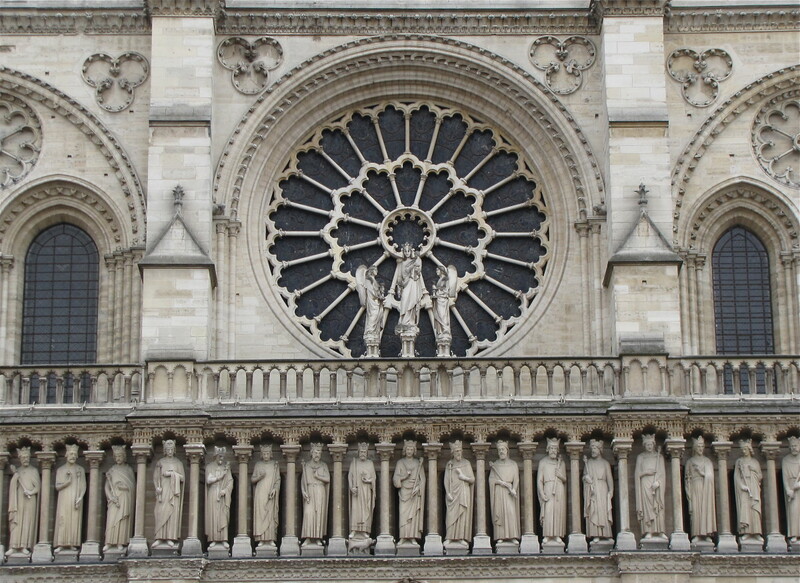 Are daily masses held at Notre Dame? Yes, daily mass is held at Notre Dame. The link here will give you the mass schedule. At one time Saturday evening organ concerts were performed. Does this still take place? Yes, every Saturday at 8 p.m. There are also concerts on Tuesday evenings that require a ticket. I visited Sacre Coeur and heard the nuns singing. Can you tell me if one can hear the nuns singing at Notre Dame? Is this part of the Mass? Not that I am aware of. Certainly you’ll hear the choir, but I am not aware of the nuns singing at Notre Dame. Are small dogs allowed in Notre Dame? I do not believe dogs are allowed into Notre Dame, although I had no success finding anything on their website regarding dogs. I do know that there is a security check prior to entering the cathedral and they are pretty thorough. Are you allowed to take photos inside Notre Dame Cathedral? There is an app to sign up to avoid the lines. But how to get to the english tour at 2:30? I echo your sentiments. Whenever we visit a new city I always look for a good viewpoint, usually a tower we can go up. Hi Liz. It really is sad to see barriers around some of these sites, a sign of the times I guess. The view from the towers at Notre Dame was really well worth the effort. As you have probably ascertained by now I have a thing for climbing towers for the great views. Have a great week. A tower trip is one I'll have to add to my next Paris visit. We went up Sacre Coeur, but the weather was against us when we visited Notre Dame and the next time we were passing, a few years later, there were long queues. It's sad to read in the papers that the Eiffel Tower has a barrier around it now. Sounds like visitors can no longer wander around under it for some greart photos. Hi Liz. Thank you. It certainly is quite impressive inside and out. The view from the towers was exceptional. Thanks for stopping by, have a great weekend. This is an exceptionally informative and well -illustrated article. We sheltered here once on a wet day in late October and recognized a small group of people from our locality back home. It is a striking sight on the outside and the inside. Hi Rhonda. I have never been in March so not sure what the lines will be. We got there early and did not do a skip the line tour. I checked prices and they are somewhat expensive compared to the simple 10 euro price to climb. Tough call, if you don’t want to wait in line and don’t mind paying then go for it. You could always just get there early. Or perhaps late afternoon would work also, most tourists mindset is to get to things early, hence the lines, and by mid-afternoon the lines are gone. Best of luck, Paris is beautiful. Going in March 2018. Should I purchase the skip the line tours that you pay for? How long are the lines in March? Hi Brian. Thank you, I very much appreciate the nice comments. What an amazing place, we can't wait to return. Have a great weekend. Great article, Bill. I enjoyed the photos and the descriptive details. I've been to Notre Dame three times over the years, most recently in November 2016, but I still learned things from your article that I didn't know before. Hi Flourish. Thank you. Haha, maybe someday when I retire, which hopefully comes sooner rather than later. Have a wonderful Thanksgiving. Back to say BRAVO on your HOTD! Yes, you should just quit your job and work for HP as a travel writer! Thank you Chantelle. Took over three years for the first one and now two in one week. Go figure. A travel book? Perhaps someday, we'll see. Right now I just trying to get one new hub out each month. Thanks again, have a nice Thanksgiving. Thanks Kristen. Geez, this is all so unexpected. Feeling very fortunate and lucky. Maybe I should grab lottery ticket :). Have a wonderful Thanksgiving. You are on a roll. Two HOTD's in a week! I'm thinking travel book is in your future. Congrats! Bill, this was an excellent hub on the Notre Dame cathedral. Those photos are gorgeous. The history behind it is interesting and wonderful. Well done! Congrats on another smoking hot HOTD! Happy Thanksgiving, my friend! Hi again Glimmer. We really enjoyed Notre Dame. The gargoyles and the rose stained glass windows were amazing. I think what I'll remember the most is that view from the top of the towers, pretty incredible. We look forward to returning someday also. Thanks for the visits, have a great day. The gargoyles and the stained glass windows are what I remember most about this glorious Cathedral. Thanks for the tour Bill. This is a city I would love to get back to one day. Hi ubrish. Thanks for stopping by. Paris is beautiful and I hope you make it there someday soon. Glad you enjoyed the hub. Have a great weekend. Paris is Paris, I really wish to visit this beautiful country ,i hope my dream come true in near future.Thanks for sharing so lovely information. Hi Marcelle. Thank you. 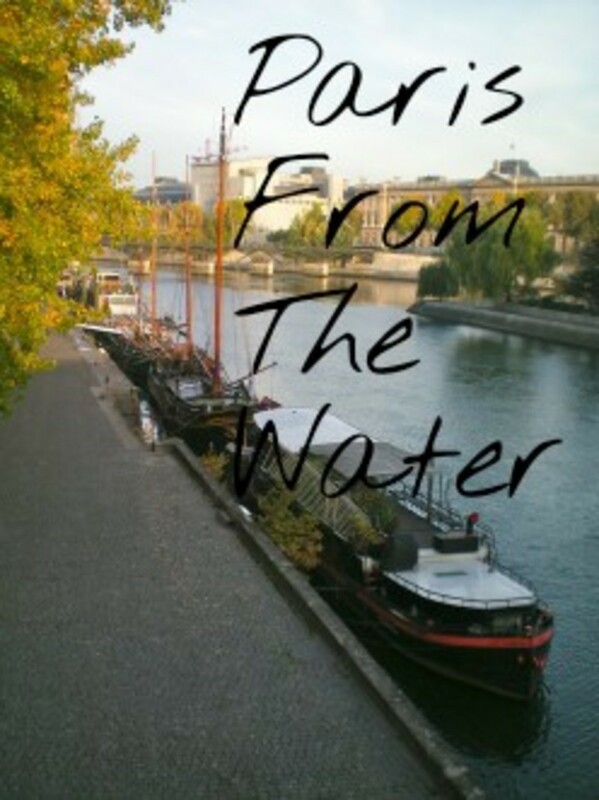 Glad this brought back some great memories for you of Paris. 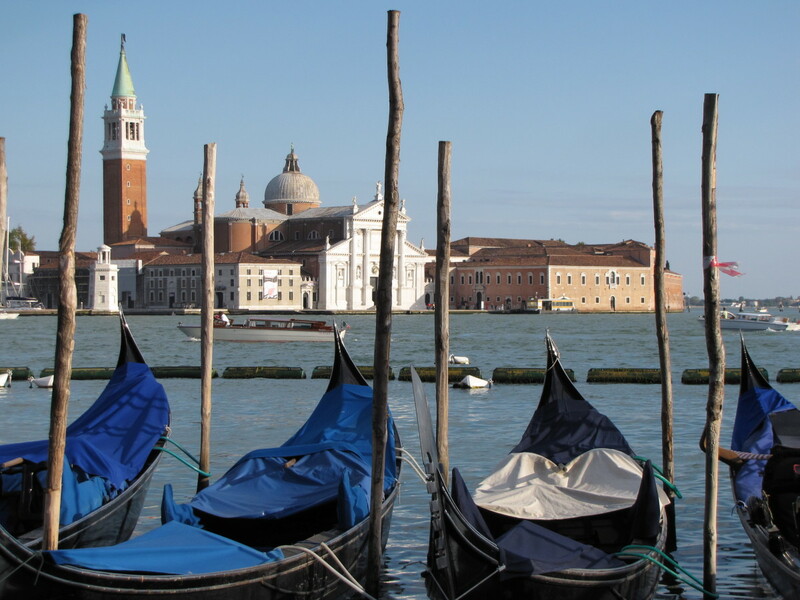 Can't wait to read about your travels in Italy, a very special place for me. Have a great week. Thank you again Flourish. We had a wonderful trip and writing about these places after the fact brings back great memories. I really do feel blessed to be able to go to these places at the moment and hope it continues. Many thanks for the vote, share, pin, etc. Have a great day. Nice job and well written! 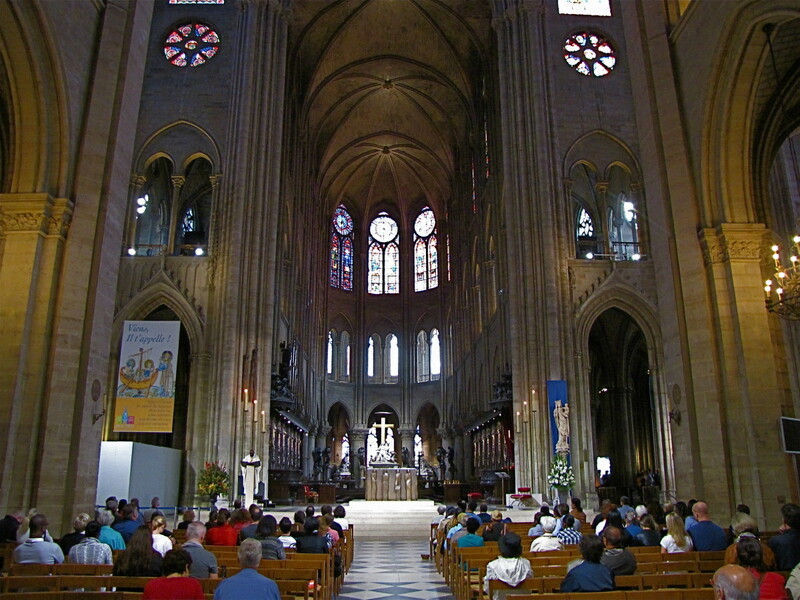 I've been to the Notre Dame Cathedral many times as an Army brat living in Europe and with family in France. It is so beautiful but I didn't know as much about the cathedral as what you've written here so it makes my experiences there even more memorable knowing all this great information. 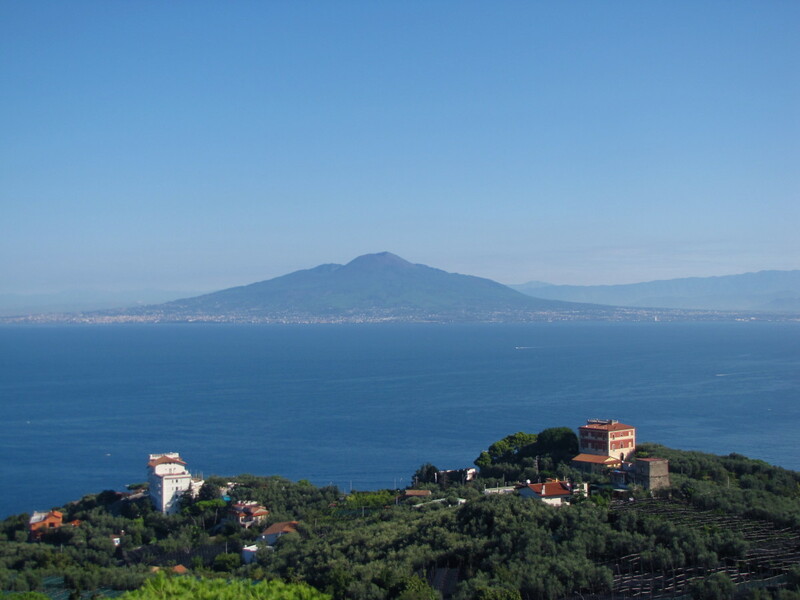 I just returned form a two week vacation in Italy and am busy writing away about my travels. Truly a fantastic hub. I second Bill's opinion. You are a terrific writer and have a special talent for travel. Voting this up and more, sharing and pinning to my France board. Hi Linda. Thank you, glad you enjoyed Notre Dame. Never say never, I never imagined I would get to visit some of these places so who knows what the future holds. Thanks as always for your support, have a wonderful weekend. I love visiting cathedrals. The Norte Dame Cathedral looks magnificent. Thank you so much for sharing your travel experiences, Bill. I will probably never be able to visit the places that that you describe, so I appreciate reading your hubs and looking at your lovely photos very much. Hi Audrey. Keep it high on your list. Just a beautiful city. Between the museums, churches, monuments and the history just a wonderful place. Have a great weekend. Thank you Sally. Isn't Paris wonderful. We really enjoyed our time there, a lot of great memories. I check out your hub. Thanks for stopping by and have a great weekend. Beautiful and on my list of places to go! Very nice, I made a trip to Paris almost exactly a year ago and walked the same places. This is a lovely reminder of a very enjoyable time spent there. I wrote a hub about one of the gorgeous Market Places. Love the images. Thanks for sharing. Hi Mary. I feel so blessed to have had the opportunity to go to Paris and visit Notre Dame. It is truly one of the worlds great cathedrals. The gargoyles, chimera, rose windows, towers, it was all amazing. I would go back in a heartbeat. Thank you as always for the support, share, pin, etc.. Have a wonderful weekend. Oh Bill I am so jealous! This was magnificent! It's hard to say which was better, your descriptive tour or your breathtaking photos. I've wanted to see Notre Dame since I was a young girl and read " Our Hearts Were Young and Gay". Never mind the gargoyle on my desk or the ones by my pond. What a truly glorious church. Imagine it being started in 1163! Voted all but funny and also shared and pinned. Hi Bill. Thank you. I should be pretty busy for the next few months with many hubs coming on France. It's just tough when time is limited but I am forging ahead one hub at a time. Slow and steady wins the race. When you are finally able to do this writing thing full-time, you will be ready my friend. All the great pics, all the experience, all the knowledge...I can hardly wait. Well done as always.